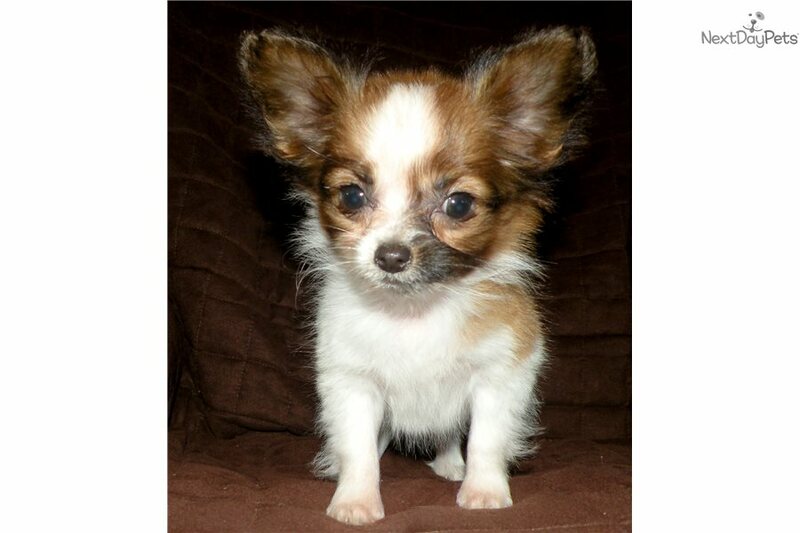 This Papillon nicknamed Timmy sold and went to a new family. Timothy is a tiny little fellow just 1 pound 8 ounces at 9 weeks.old. He is full of puppy love and he will melt your heart when you look into his handsome little face. He will be sure to come home to you happy. healthy and ready to play.